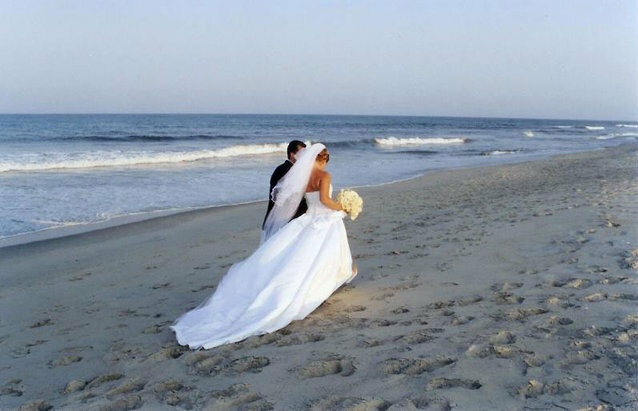 Long Island provides the perfect setting for your ideal wedding. Your wedding day should be filled with happy memories and good times, and it can all be done on Long Island! Long Island has so much to offer to the marrying couple that no matter if you’re wedding takes place during Spring, Summer, Winter, or Fall, you can have a beautiful and memorable wedding. However, a beautiful wedding takes quite a bit of hard work. No one ever said wedding planning is easy – even for the professional wedding planner! Here we cover everything from picking the ring, getting engaged, planning on a budget, picking the perfect venue, writing your vows, picking out your wedding dress/tuxedo, décor & centerpieces, food & drinks, bridal showers, bachelor & bachelorette parties, coming up with a music playlist, gifts, planning the honeymoon, and much more! There are so many aspects to cover before, during, and after a wedding that a bucket list is just what you need to make sure all items are covered. Often times a special moment is created to lead up to the proposal, and then engagement. It can be mind-boggling coming up with just the right plan. Find ideas and tips to make it special! How to Pull Off a Romantic Holiday Engagement! 5 Things to Do Once You're Engaged! Tips to Tying the Knot on Valentine's Day! Creating a Valentine's Day Engagement Party! Taking A Perfect Engagement Photo! Creating A Halloween Themed Engagement Party! Planning a St. Patrick's Day Themed Engagement Party! No matter the season you plan to throw your wedding, on Long Island it’s beautiful all year long! There’s beauty in flowers blooming during the Spring, beauty in the Summer sun, beauty in Fall foliage, and even beauty in tree limbs covered in white snow during the Winter. Get ideas for your wedding no matter the season! Signature Spring Flowers Add the Perfect Seasonal Accent to Your Wedding! Picture Perfect Pastels: How to Add a Splash of Spring Without Overdoing It! 10 Summer Wedding Ideas Long Islanders Will Love! Our Favorite Themed Wedding Ideas for the Fall! Our Favorite Fall Wedding Ideas! How to Keep the Winter Chills Out of Your Wedding! 5 of Our Favorite Winter Wedding Ideas! Creating Your Winter Wonderland Wedding! Venture Off into the Evening at your Travel Themed Wedding! Kickin' it Old School: Planning a Retro Style Wedding! Tips to Planning an Eerie Halloween Wedding! Tie the Knot at your Sports Themed Wedding! End the Summer Right with a Barn Styled Wedding! Feel Like Royalty on Your Wedding Day - Planning a Magical Fairytale Evening! Have a Rockin’ Evening - Helpful Tips on Planning a Music-Inspired Wedding! Got Wine? Your Guide to Planning the Wine Styled Wedding of Your Dreams! Sail Away with these Nautical Style Wedding Ideas! Add Some Star Spangled Style to Your Patriotic Wedding Theme! Plan the Perfect Picnic Barbecue Wedding - Enjoy Some Sunshine on Your Special Day! Make Your Wedding Stand Out – Incorporate Unique Details Into Your Big Day! Honor Your Heritage With a Beautiful Irish Theme Wedding! Adding Some Christmas Cheer Into Your Wedding! Whether you have a large budget or small budget, you should set a budget for your wedding. Things can quickly add up and get out of hand. The last thing you want is to run into deep debt as you start your life together as a married couple. Have Your Wedding In Your Own Backyard! The venue you select to host your wedding helps set the mood for the special day. Select one that will suit the theme you’re going for and that can accommodate your party size comfortably so everyone has a great time! With so much to do around planning a wedding, time to pick out a dress may sometimes come with little time or at the last minute, but your guests don’t have to know that! Pick a dress that will have everyone in awe! Looking for a Unique Wedding Dress? Just Add Color! Finding the Best Wedding Dress for Your Body Type! Adding Color to Your Wedding! Bridal Gowns - Where to Go & How to Save! What’s a party without food and drinks! Have your guests talking about what a wonderful time they had at your wedding party, but also about the great food and drinks they were served. Making the Perfect Groom's Cake! Planning a Bridesmaid Cocktail Party! There are so many ways to go about the décor and centerpieces at a wedding party. Get unique ideas here that will have your guests saying, “Wow!” as they enter the room! Wedding DIY: Creating a Unique Guestbook! Make Your Bridal Bouquet Unique! Seasonal Centerpieces - A DIY Delight! Your family, friends, and guest will have their eyes set on you as you complete the first dance as a married couple and as you continue to dance the night way. The right music expresses the love you have for one another and sets the mood to a fun evening for all. Wedding planning will come with stress, even if you’re the type to stay cool. Don’t forget what this special day is all about in the mix of it all. Adding Family Tradition to Your Wedding! The wedding party hasn't begun, but the bridal shower and bachelorette / bachelor party sure can! Plan Your Long Island Bachelorette Party! Gifts will be pouring in to celebrate the special occasion and then there’s also gifts you have to plan for the bridesmaids and groomsmen. Get tips to gift ideas and more! Useful Wedding Registry Items You Must Not Forget! Say Thank You to your Bridesmaids with these Thoughtful Gift Ideas! 5 Gifts Your Bridesmaids Will Love! There’s much to do to get yourself ready for the big day. Find additional tips to help you through it! The path to finding love is different for every person and so is the planning of a wedding. No two couples are alike, nor are their weddings, but these other tips will come in handy to suit everyone's particular needs. Creating a Wedding Day Emergency Kit! After many hard, long months of planning for the wedding, you’re now officially a married couple! Begin enjoying special times together as a married couple starting with a wonderful honeymoon. Find tips to planning for it! Planning Your Fall Destination Honeymoon! Have suggestions to share on throwing a wedding on Long Island that’s now covered here? Let Us Know! Photos by Roger Kirby, via Free Images.